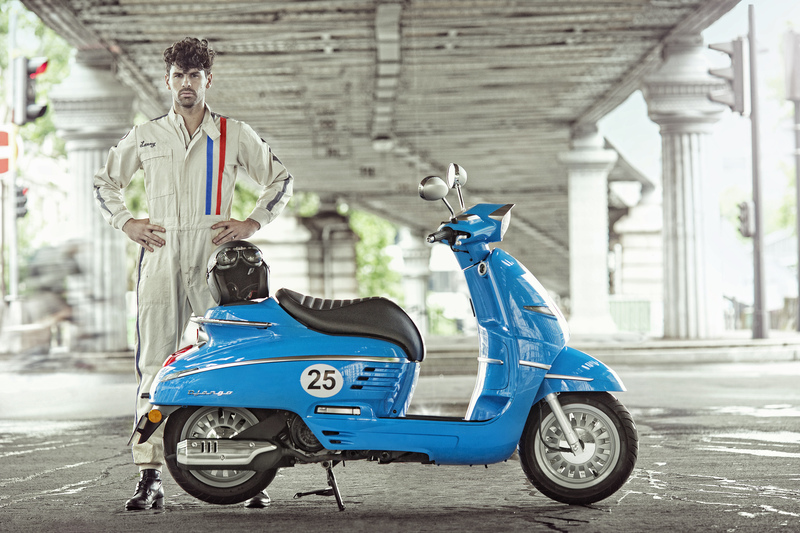 Peugeot’s ‘neo-retro’ Django scooter will be available with the option of a 50cc engine in time for Summer 2015. Already produced with a choice of 125cc and 150cc motors, the 50cc version of the Django can be ridden on an AM licence, making it accessible to anyone aged 16 or over. 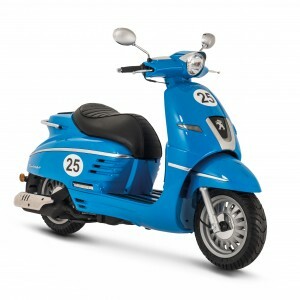 AM category scooters can also be ridden by anyone who passed their car driving test before 1st February 2001, without the need to take any extra tests. 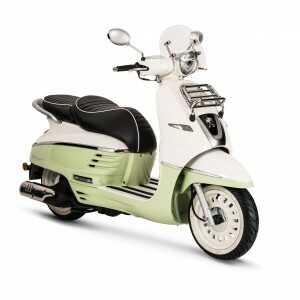 Named after the legendary Jazz guitarist Django Reinhardt, the styling of the Django is inspired by Peugeot’s S57C scooter of 1958. Like the early Peugeot scooters, the Django 50 is powered by a 2-stroke engine, although the modern motor is more fuel efficient and complies with tough emissions regulations, making it kinder to the environment.